The Supreme Court ruling has significant implications for the Ruataniwha dam. In addition, it asserts the importance of permanent protection of high-value conservation land. 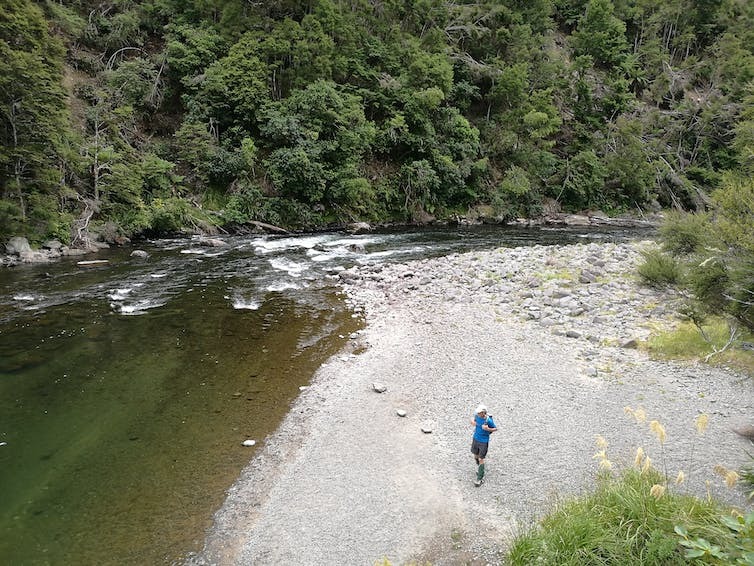 The ecological value of the Ruahine Forest Park land was never in question. The conservation land includes indigenous forest, a unique braided river and wetlands that would have been destroyed. New Zealand’s environmental legislation states that adverse effects are to be avoided, remedied or mitigated. However, no priority is given to avoiding adverse effects. Government guidance on offsetting does not require outcomes with no net loss. In Pathways to prosperity, policy analyst Marie Brown argues that offsetting is not always appropriate when the affected biodiversity is vulnerable and irreplaceable. These issues were highlighted in this year’s OECD Environmental Performance Review and a report by the Parliamentary Commissioner for the Environment on the parlous state of New Zealand’s native birds. Both issues damage New Zealand’s 100% Pure branding and pose significant risks to tourism and the export food sector. Indigenous ecosystems are a huge draw card to surging numbers of international tourists. Since 2009, environmental protection and conservation have increasingly become major battle lines as the National government doggedly pursues its business growth agenda. This favours short-term economic growth over environmental protection. A key principle behind the Supreme Court decision is that protected conservation land cannot be traded off. It follows a High Court case in which environmental organisations argued unsuccessfully that the transfer of land was unlawful. However, in August 2016, the Court of Appeal ruled against the Director-General of Conservation’s decision to allow the land transfer. It had been supported on the grounds that there would be a net gain to the conservation estate. The court’s ruling said that the intrinsic values of the protected land had been disregarded. The Supreme Court has reinforced the importance of the permanent protection status recognised by the Court of Appeal. Anticipatory governance is fundamental to good governance, as Jonathan Boston argues in his recent publication Safeguarding the future: governing in an uncertain world. It requires protecting long-term public interests. Conservation of our unique ecosystems and landscapes protects their intrinsic values and the services they provide. These include tourism benefits and basic needs such as water, soil and the materials that sustain human life. The department has correctly recognised that conservation promotes prosperity. However, long-term prosperity is quite different from the short-term exploitation associated with the government’s business growth agenda. This promotes exploitation in the form of mining on conservation land and increased infrastructure for tourism and other industries, such as the proposed Ruataniwha dam. The photos and emotive terminology do no credit to the authors. The area to be dammed is nowhere near where the Peter Scott photo is taken, and the area in the photo will not be affected. The two blocks of land that make up the 22 hectares are regenerating bush from cutover native forest. The remains of the sawmill that the logs went to is next to one of the blocks. The 8.2ha southern of the two blocks is a steep bank alongside the Makaroro completely surrounded by pine forest. The bigger block is alongside Dutch Creek, the other bank of which is also pine forest. The 170 hectares is regenerating bush on farmland that has basically been abandoned that abuts the DoC land. There may be major conservation values with the 22ha of blocks that aren’t in the bigger block, but it is not obvious what they are. DoC has a lot of little parcels of land throughout the country. They inherited them when the government departments were split up. Many of these are just wild and overrun with both pests and non-native plants. There is no sensible management of any value that can be done on them. Stopping land swaps prevents DoC from ever being able to do anything about them. It also prevents things like road realignments. Think Three Sisters on the Desert Road which is in a National park.